Founded in 2007, non-profit organization Yoga Gives Back was created by Kayoko Mitsumatsu as a way for western yogis to send funds back to India, the birthplace of yoga. While the yoga community is amazingly giving, Yoga Gives Back is the first charity that specifically targets the needy there. Inspired by Dr. Muhammed Yunus’ Nobel Prize winning microfinance process, Yoga Gives Back began to work with the Grameen Foundation’s micro credit programs. funding programs of small loans to women who would otherwise not be able to get credit. With these funds the women have been able to start or expand small businesses or agricultural operations. In 2010 Yoga Gives Back started “Sister Aid” to give both loans and direct aid to India’s poorest women by working with NGOs NISHTHA in West Bengal and Deenabandhu in Karnataka. Yoga Gives Back’s main annual campaign is the “Thank You Mother India” effort that raises money through donation classes and events worldwide. In 2012 the TYMI campaign raised almost $50,000 with classes taking place in twelve US states and 17 countries around the world. Many top yoga teachers are happy to hold a donation class for Yoga Gives Back. including YGB board member Jorgen Christiansson, Kia Miller, Beth Shaw, Joan Hyman, Elena Brower and many others. Top studios that work with Yoga Gives Back include Ashtanga Yoga New York, Goda Yoga, Maha Yoga, Rising Lotus, Pure Yoga and so many more. 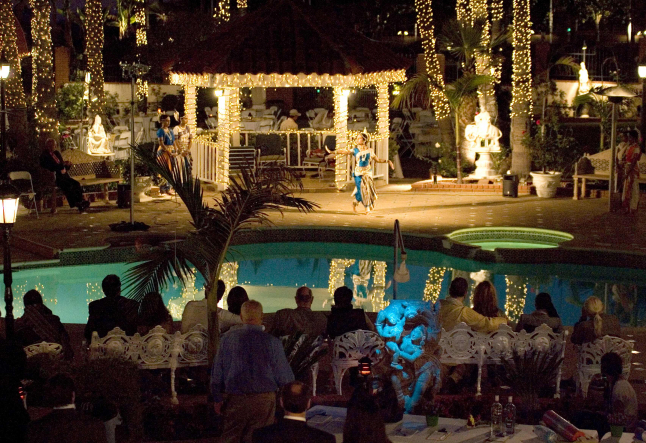 The centerpiece of the campaign is the annual fundraising gala in Malibu, California, US. Held at a stunning private residence, the Indian-themed evening features delicious food, classical Indian dancers, both live and silent auctions, amazing gift bags and much more. Tickets for the event are available at yogagivesback.org/tymi/malibu.